The web has grown tremendously in the past couple of years. Its growth is substantial. However, the growth is not surprising at all because the device to go online is becoming cheaper and accessible. Yes, mobiles phones are changing the web. At the time of writing, almost more than half of the web traffic is coming through mobile. WordPress, on the other hand, is also one of the common platforms out there. 30% of the online website is currently using it. That’s a lot. So, where do we stand and how does the current trend of mobile usage leaves WordPress business? Well, we are going to discuss all of these in today’s article. WordPress business needs to consider the mobile approach if they want to be serious. However, not every company can create their app and release it on mobile. This is where Progressive Web Apps(PWA) come in. Progressive Web Apps(PWA) lets you be in control of your business and provide a low cost approach to the mobile audience. So, what is Progressive Web Apps? Let’s explore it below. Progressive Web App is best defined as a set of web standards that are used to improve website performance on mobile devices. Google developed it. Using PWA makes the website load faster in any mobile just like how an app will load. It acts like a native app. Technically, PWA’s are single page applications that offer better features. It also aims to improve the user’s experience and make it immersive. PWA allows readers and visitors to load your website just like an app quickly. They can do it form their screen, and the PWA will offer the same feature that a native app will deliver. This gives your business an excellent opportunity to provide better user experience and also let your business grow in the right direction. There are a few terms that you need to understand PWA better. Let’s list them below. Manifest files: These are the files that contain the name and the icon of the app. It will be used to connect the app to the website. The manifest files are completely customizable and offer the option to change the design and feel of the app. Customer experience is also affected by manifest files. Service workers: Service workers enable the PWA app to work without the need to be connected to the network. Push notifications: Push notifications let the app notify the users from time to time. This is essential as it enables you to bring back users to your app. Starting a website or having an existing one means handling all the different aspects with utmost quality. This includes improving the reach of your website to new users. But, what are the other reasons for which you need PWA? Let’s explore below. The first benefit of using Progressive Web Apps is better performance compared to traditional websites. Generally, when a new visitor loads your site, it takes quite some time to load. Higher loading time means losing customers. This can be a huge problem if not fixed. If you want your website to have a better chance to survive in the current market, you should enable your website to load under 3 seconds. Almost every blogging guide covers the importance of having a fast loading website which further establishes the need for a faster web. Progressive Web Apps let you do just that. It makes your site run faster than you expect, especially on mobile phones. Also, PWAs are not exclusive to mobile phones; they work on a desktop too which brings more opportunities to you. With PWA, your site can load in just one second. That’s too good to be ignored. One of the most significant advantages of implementing PWA for your website is “offline capability.” PWA’s work offline which means that users can visit your website even when not connected to the internet. The ability to do changes a lot of things. When a user visits your site using PWA, it downloads it automatically for offline viewing. Another reason PWA will flourish is its low requirement for development. The clear winner, in this case, is businesses who don’t have to invest a lot of money in developing PWA. In comparison, if you go with native development, you have to hire an Android or iOS developer which is not cheap at all. On top of that, you also need to maintain the native app. Developing PWA doesn’t require using Objective C or Swift or Java or any other complex programming languages. Building a PWA is easy, and you also don’t need a computer science degree to do so. With time, PWAs are supported more and more. Even tech companies are investing in the technology as it looks promising and has practical benefits in real-world implementation. Almost all the browsers are coming up with proper PWA support. Even companies such as Microsoft and Apple are going to implement PWA support in their operating system. Where does it leave WordPress business? 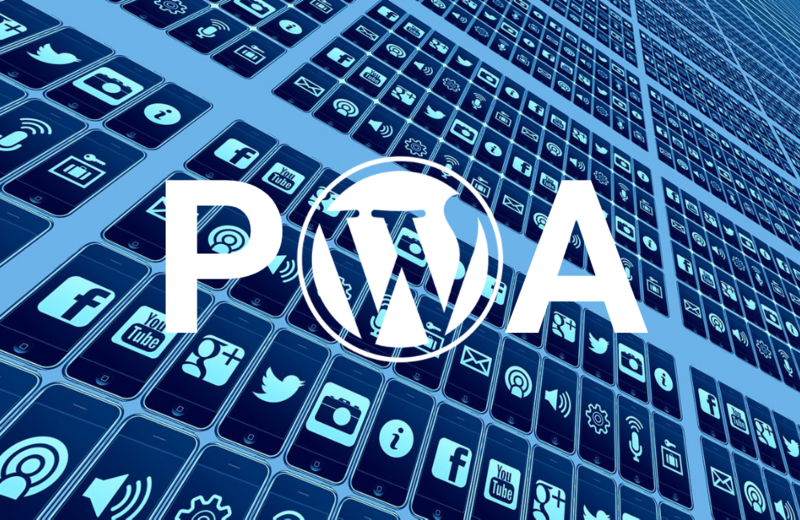 WordPress business can benefit immensely from PWA. WordPress already supports PWA but with the help of 3rd party plugins. The WordPress team, on the other hand, has already acknowledged the importance of PWA and have promised that WordPress will soon come with PWA support inbuilt. So, where does it leaves us? It makes us inclined towards a better future where anyone can use PWAs and reach millions of mobile users with a single touch. It will be able to take advantage of mobile apps, provide better desktop and mobile support, work offline and easy to build. So, are you going for Progressive Web App? Comment below and let us know.